Hot water plays an important part in our everyday lives. From taking a bath, washing dishes, to doing your laundry people depend on their hot water heater daily. When your tank heater needs to be replaced or instead you are looking to save money and preserve the environment Mammoth provides the most up-to-date in tankless technologies. We are Houston’s top factory certified experts who will assist you to make the best decision possible for all your families hot water needs. Best of all, we’ll save you money too!!! Call us now to find out why we are the best Houston water heater service company! Rinnai is more efficient than standard storage-type water tanks because it only spends energy to heat the water you need, when you need it rather than constantly spending money and energy to needlessly heat and reheat gallons of water, as is done with storage-tank water heaters. A Rinnai tankless water heater can deliver savings of up to 50 percent on water heating costs when compared to traditional water tanks. There are several models to choose from for any residential or commercial application, ranging from indoor to outdoor models, to natural gas or propane fired. Additional controls are a great option for Rinnai Tankless water heater owners. Controls are the window to Rinnai’s tankless water heaters. They allow the user to view and interact with the water heater’s operation, and provide technical and service details for trouble free operation year after year. All Rinnai interior units utilize an exclusive cool-to-the-touch vent system that is sealed combustion and requires only one penetration through the roof or sidewall. Rinnai interior units can mount almost anywhere and can have a vent up to 41 feet long. They are designed to operate at outdoor temperatures as low as -30° F.
Exterior Rinnai units offer tremendous flexibility and safety. They are mounted on the exterior of your home so they require no floor space. While they are designed to operate to -30°F, care should be taken to properly install them in colder climates. Why are Rinnai tankless water heaters so efficient? 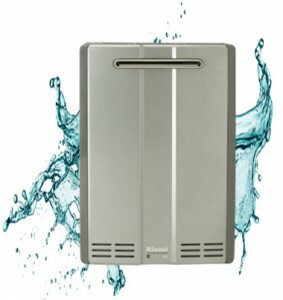 Rinnai has decades of experience in designing and building tankless water heaters throughout the world. Rinnai’s precisely designed components are microprocessor controlled to maximize efficiency. They do not store hot water, waste energy by using a conventional chimney, and have electronic ignition so there is no wasteful pilot flame. Rinnai’s tankless water heater, is a natural or propane gas-fired unit that replaces the antiquated technology of hot water storage tanks. Another reason why to call today for the best Houston water heater service. Contact Mammoth Plumbing Today!!! When it’s time for a new electric or gas water heater, calling a professional will be the smartest thing you could ever do. We know how well water heaters can work and how safe they can be when properly installed. We also know the downfall and dangers of bad installations. That’s why we believe water heaters should only be installed by licensed and well trained professionals. Water Heater HoustonAs of July 1, 2003 all conventional 30, 40 and 50 gallon residential gas-fired water heaters must comply with new, stringent standards regarding Flammable Vapor Ignition Resistance. Mammoth Plumbing utilizes the Defender Safety System, a cutting edge technology that fully complies with the new standard. You can count on Mammoth Plumbing to meet these requirements now and in the future. 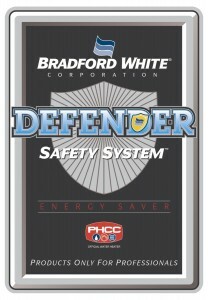 Defender Safety System is only available to professional installers people whose knowledge, skill and experience ensure that the right model water heater is installed correctly. The peace of mind you realize by having Mammoth install your water heater is a priceless commodity you can get at a reasonable price. Knowledge of Electricity and Its Uses: Installation of electric water heaters requires knowledge of the properly rated wiring material as well as knowledge of the home’s electrical capacity. An adequate electrical service is a requirement. Getting the Right Gas Water Heater For Your Home: Gas valves are designed to handle a specific type of fuel. 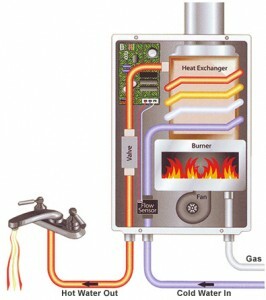 Some gas-fired water heaters are designed for certain types of homes. Making the wrong choice can be a serious hazard. Mammoth Understands Thermal Expansion: Do you have an open or closed water system? Closed systems are subject to thermal expansion and pressure build-up. Open systems can become closed when check valves, water softeners or water meters are added. A professional will add an expansion tank to avoid problems. Pressure Build-Up is a Serious Matter: Even if your water heater tank doesn’t rupture from thermal expansion, pressure inside the tank can cause a constriction of the flue tube. This, in turn, can cause a back up of combustion gases and carbon monoxide inside the home. Many Special Water Heaters Aren’t Sold To Customers: Certain Defender Safety System water heaters cannot be purchased by the public. There are literally thousands of models with important variations and safety features that you’ll never know about unless you call a professional such as ourselves. Laws Governing Installations: In many parts of the country, state agencies and local municipalities have laws and codes governing the installation of water heaters. These laws state that a water heater must be installed by a licensed professional. Contact Mammoth Plumbing today to learn about all our plumbing services! SAFETY REMINDER: DO NOT USE OR STORE FLAMMABLE PRODUCTS SUCH AS GASOLINE, SOLVENTS OR ADHESIVES IN THE SAME ROOM OR AREA NEAR ANY GAS FIRED APPLIANCE. GASOLINE AND OTHER FLAMMABLES CAN BE DANGEROUS IF NOT USED SAFELY. ALSO, WATER TEMPERATURE OVER 125°F CAN CAUSE SEVERE BURNS INSTANTLY FROM SCALDS. ALWAYS FEEL WATER BEFORE BATHING OR SHOWERING. A common issue plaguing homes in Houston is the need for whole home repiping. This is mainly due to deteriorating pipes made of galvanized steel and other low quality materials. Repiping a home is an involved process but a necessary one. Only fixing pipe leaks or replacing a few plumbing lines won’t resolve the issue long term. A degrading plumbing system will continue to fall apart and that is way it is important to replace it all at the same time. Repiping a home isn’t easy and is a lot of difficult work. This is why only experienced trained plumbers from Mammoth Plumbing should complete repipe your home. 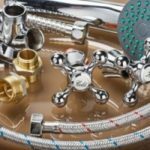 With more than 25 years experience in the plumbing profession, Mammoth Plumbing has become one of the leaders of whole home repiping in Houston. Call us today to schedule a free in home inspection and estimate if repiping is needed. Discolored or rusty water indicates that the pipe material is breaking down and now saturates the water for showers, cloths washing, dish cleaning, ice making, toilet flushing, hand washing, and drinking. This can be hazardous to anyone in the home. The pipes will soon begin leaking or collapsing. A total home water line replacement is the only way to insure completely resolve this situation. This a common occurrence in the Houston area. Decades ago, iron and galvanized pipes were common materials used for the water lines within Houston homes. These materials are beginning to fail due to their quick corrosion tendencies. The older the home with galvanized, iron or zinc coated pipes, the more likely a pipe with break, leak or cause discoloration. It would be a good idea to have your home repiped if these types of pipes are in your homes walls and floors. If the temperature of the water changes drastically when another fixture is turned on, it may be an indication of pipe deterioration. The hot water supply lines are usually the first water lines to corrode due to the heat accelerating the corrosion process. Low water pressure can be due to the constriction pipes experience as they corrode. This slows down water flow and prevents multiple fixtures from running at the same time. Sewer drains normally accumulate sludge over time and clog. Since the sewer lines are underground and hidden by earth and concrete, it is not easy to reach the drainage lines. Advancements in technology have introduced newer and less cumbersome methods to repair and replace sewer lines as well as easiler ways to locate drain line and leaks. Mammoth plumbing, with its complete guarantee on quality can get your sewer lines repaired and replaced in no time. Broken, Offset, Collapsed, or Cracked pipes – damaged caused by foundation settling, shifting soil, frozen ground conditions, etc. Traditional Method – includes open cut or trenching to access the area of repair or installation. Typically performed with a backhoe, this is usually the most destructive method. Pipe Bursting Method – a “trenchless” method, the use of a hydraulic machine to bore through the ground and pull the pipe into place means less destruction of yards, driveways, and sidewalks. Pipe Relining Method – a “trenchless” method, a new pipe is created within the old pipe by adding and interior liner, then using an air bladder the hold the liner in place until it hardens. Trenchless sewer line repair and replacement by the expert plumbing team from Mammoth plumbing is less labor intensive and a lot less expensive than digging. This way your driveway, lawn or garden are saved from destruction. Inspecting sewers in the conventional method involved large scale excavations. With the introduction of video inspection of sewer pipelines, the process of locating blocks and damages in sewer lines have become a lot more easier. The fiber optic sewer inspection camera used by Mammoth plumbing can easily and effectively point out the blocks and clogs in your drains. Mammoth Plumbing follows trenchless methods to have your sewer lines repaired and replaced. Sewer blocks are one of the worst problems that daunt a house owner. Clogs in the drain pipes may require the digging up of the lawn or breaking down the concrete slab. This is a labor intensive process and can cost a lot of money. The introduction of video inspection of pipelines has however, solved the problem. Mammoth Plumbing uses the latest fiber optic sewer inspection camera to locate any blocks or root infiltrations in your sewer. The fiber optic sewer inspection camera equipment used by Mammoth Plumbing consists of a remotely operated swiveling head that can pan and tilt. Lighting devices like LEDs are incorporated into the head to illuminate the sewer lines. Mammoth Plumbing analyses the sewer lines simultaneously and the footage is recorded if necessary. Thanks to new storage methods, hundreds of hours of footage can now be stored and evaluated. The video from the fiber optic sewer inspection camera is of a high resolution that provides for sharp and clear viewing. 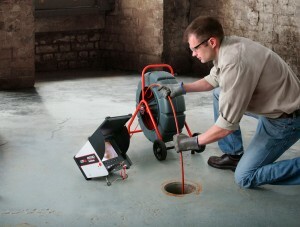 Using this, the professionals from Mammoth Plumbing easily locate the blocks in your sewer. An extensive network of pipes supply your house with water. Another intricate system of drains remove the sewage. A clog or block in the pipes and drain is a cause for concern. Water line repair and replacement of the pipes that run from the street into the home is the responsibility of the house owner. Mammoth plumbing helps you attain relief from this responsibility by providing 24/7 services. Deposition of grease or sludge in the pipes. Buildup of grit and residue especially in hard water. Infiltration of the water line pipes by roots. Uneven contraction caused by freezing of the ground in winter and uneven expansion during the summer. Leaking of a water line in the vicinity of electrical installations can lead to dangerous consequences. Repairing the damage in the water line and unblocking the clogs in the pipes can involve a lot of labor and is normally an expensive process. In many instances it requires the digging up of your neatly laid lawn. Mammoth plumbing can now solve the problem without having to destroy your lawn or cut down the trees in your garden. 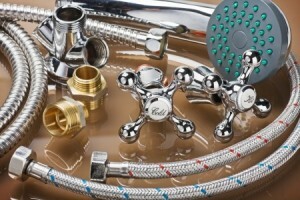 Mammoth plumbing can do the water line repair and replacement using the latest technology. This way the leak or crack is reached without damage to the landscape of your property. Mammoth Plumbing can help plan and construct the gas, water and sewer lines your new home or addition and renovations. A well-planned erection of gas, water and sewer lines will result in thousands of dollars utility savings every year. Damage to the gas, water and sewer lines result in a lot of discomfort and harm. Gas leaks are hazardous and can cost you a lot in repair. Cracks and collapses in the water and sewer lines can damage your property. Sewage leaks pose sanitation and hygiene problems. Mammoth Plumbing technicians carefully handle gas, water and sewer lines and make sure you do not face any problems. Improper ventilation of sewer lines can result in the formation of sewer gases. Sewer gas is a mixture of many toxic, non-toxic and potentially inflammable gases. Vents need to be carefully installed to prevent leakage of sewer gas. Mammoth Plumbing uses only the best materials to install your gas, water and sewer lines or remodel them. 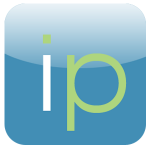 Our professionals are licensed and trained to the highest degree to handle all types of installation and repair. Mammoth Plumbing has a lot of experience in installing in house water filtration systems and we can aid you to identify the proper water filtration system that suits your home. 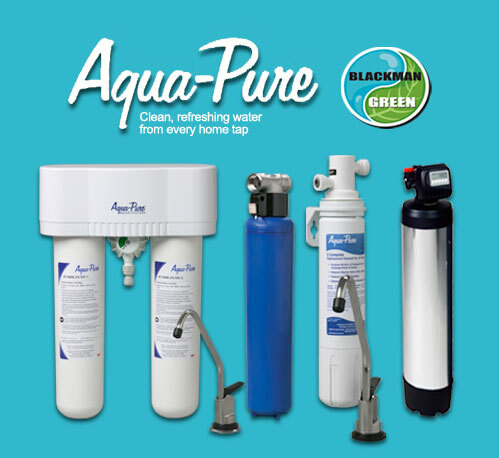 Mass filtration systems do not completely purify water. Chlorination is the most common mass purification process. Chlorine is a strong oxidant and kills most microorganisms in the water. Chlorine and chlorine derived compounds are present in the water as residues. Mammoth plumbing can help you to select the best water filtration system that can overcome any issues of water purity. Water filtration systems can protect you from the negative effects of chlorination as well as from any pathogenic cysts that have survived disinfection. 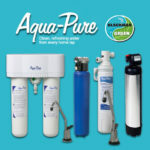 Water filtration systems are available for point of use like tap water filtration or for whole house water filtration. Mammoth Plumbing provides professional services for the installation or repair of all types of water filtration systems. Time for a Bathroom Facelift? 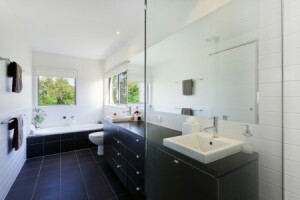 Houston Bathroom Remodeling by expert specialists and professional plumbers. 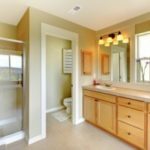 Looking to give you bathroom a facelift? 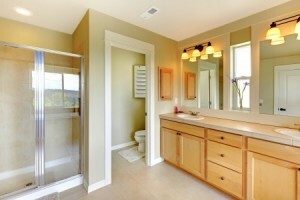 Searching for bathroom remodeling ideas for small bathrooms? Mammoth Plumbing can turn your bathroom into the peaceful oasis you have always dreamed of. 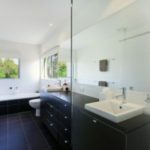 Every bathroom is unique and we will assist you in remodeling your bathroom to your specifications. At Mammoth, we understand that your needs and desires for your bathroom will be yours alone so we listen to you. 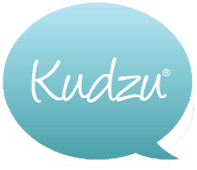 We take the time to understand everything that you require out of your bathroom. whether you have the precise look already planned out or if you have a need ideas Mammoth can turn any idea of the perfect bathroom into a reality. Attention to details is what makes the finished product satisfying; let us take care of all the work while you sit back and allow us to create your dream bathroom. 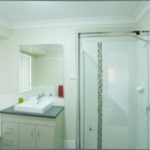 Selecting the right faucets and fixtures will be brought together by our team of trained professional plumbers and the windows, counters, flooring and painting will be completed by skilled specialists. If you can imagine it we can build it. Check out all our plumbing services offered all over Houston! Mammoth offer a complete detailed estimate of the entire project including materials, fixtures, labor, and a timeline on completion. Call us today at (281) 398-1700 or fill out our Contact form to set up an appointment for a Mammoth master plumber to come look at your project or meet with your contractor. 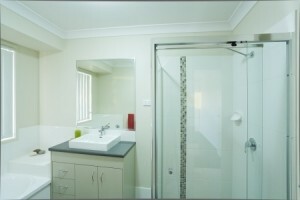 Shower pans or shower base is a bathroom furnishing that collects the water from the shower and directs it to the drain. The expert technicians at Mammoth Plumbing will install the shower pan in a perfect manner. A properly installed shower pan gives you the required comfort and saves you from the trouble of leaks. Those constructed as a single continuous piece. The licensed technicians at Mammoth Plumbing are experienced at installing both type of shower pans. Leaks in the shower pans is a cause for concern. Mammoth plumbing helps you to get ride of leaks in your expensive shower pan, with any damage to its beauty. The leak can be from the shower pan or from the shower faucet. Mammoth plumbing provides professional services in correctly identifying the leak and fixing it, helping you avoid expensive replacements. Mammoth plumbing has a wide experience in toilet installation and repair. Toilets consist of the toilet bowl and seat, toilet tank, wax ring, twenty inch supply hose with valve fitting and extending water supply and drain pipes. Cracks in the wax ring or the water supply connectors. Damages to the tank and pipe assembly. Fissures in the tank to bowl and the bowl to the drain connectors also cause leaks. Over tightening of the screws in the toilet bowl creating rifts in the bowl made of porcelain. Proper installation of toilets can help you save thousands of gallons of water every year. Installing a toilet alone is fairly easy. However, Mammoth Plumbing provides the best professional service if you also need to extend the water supply line and drain pipes. Leaks in the toilet and supporting drain lines can cause serious problems to the any wood and mortar present in the floor. This can weaken the slabs and boards on the floor and allow the growth of mold and mildew. Instead of risking the damage to your new toilet, allow Mammoth Plumbing to take care of toilet installation and repair. 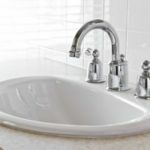 An overwhelming number of choices are available to people who are building a new home or are remodeling their homes, with regard to plumbing fixtures. Plumbing fixtures are part of the delivery or draining assembly for water in kitchens, bathrooms and toilets. These include components like bathtubs, showers and shower stalls, urinals, lavatories and bathroom sinks, bidets, utility washing sinks, kitchen sinks and faucets. Plumbing fixtures are essential features of the plumbing assembly. They are the only part of the pipe and drain system accessible to everyone. Plumbing fixtures have one or more inlets for water supply and an outlet to the drain. Apart from being equipments of obvious utility, plumbing fixtures can also add to the decor of your house. Designer plumbing fixtures are gaining in popularity due to this reason. Mammoth Plumbing can provide you with access to an unlimited variety of plumbing fixtures of the finest quality. The personnel from Mammoth Plumbing are experts at installing new plumbing fixtures. Improper installation can damage your newly installed plumbing fixtures. As a consequence, your house may also be damaged. Leave the installation or repair of your water and sewer lines and the plumbing fixtures to the expert hands at Mammoth Plumbing. Sinks, faucets and spigots are plumbing fixtures that are integral features of bathrooms and kitchens. Sinks and faucets are available in a wide variety of styles and designs, based on functions and operations. 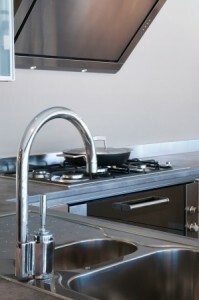 Mammoth Plumbing can enhance the over all appearance of a kitchen or bathroom by installing designer sinks and faucets. Faucets are the valves, which the end users access to control and regulate the flow of water supply. 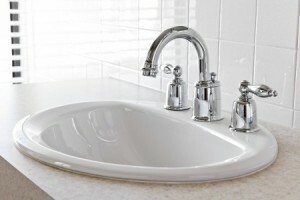 Sinks can contain one or more faucets depending on the necessity. Normally, two faucets are placed on a sink, one to supply hot water and another to supply cold water. Some sinks are built with the option for the water to be plugged and retained. Sinks can be constructed from different materials. In untrained hands, the designer faucet and sink set up you brought could be damaged and the appearance of the space ruined. Faucets and sinks will also start leaking easily. With Mammoth Plumbing, however, you never have to worry about damaging your new sink and faucet. Our professionals take great care when they install or repair your sink and faucet. You can just relax with the knowledge that your sink and faucets are in safe hands. Garbage disposals have now become indispensable components of the kitchen of every household, since they help to easily dispose the kitchen and food waste. The garbage disposal unit contains a grinder operated through an insulated electric motor, which breaks down waste into small pieces that can flow through the drain pipes. The technicians at Mammoth Plumbing are trained to properly install the garbage disposals. There are limitations on what can be dumped in the kitchen sink. With continuous use, garbage disposals tend to clog over time. Some metallic components of the garbage disposal like the turntable, chamber, lug and shredding ring are in constant contact with water and waste material. These can corrode easily if they are not made of rust resistant material like stainless steel. Mammoth Plumbing is well experienced in replacing such corroded parts and ensures the efficiency of the garbage disposal. Mammoth Plumbing offers professional services to have your garbage disposals repaired and replaced. Handling garbage disposals requires good knowledge of the electrical equipment involved, as also the plumbing assembly. Garbage disposals of any type, size and power can be repaired and replaced by expert personnel from Mammoth Plumbing. 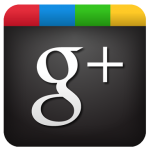 Check out what our customers have to say about us. Or feel free to leave a review. We’d love to hear from you.